So you’re starting a food truck. You’re eager to get out in the public and stuff their faces with your delicious wares, and you’d rather be driving around behind a wheel than steering your computer on a desk. Before you tear out of the garage, however, make sure you’ve got a great food truck website in place to get the word out to your hungry customers! Your food truck website will be a key place for customers to visit and find out your current location. Integrate Twitter with your website design for an easy update solution that keeps your customers up-to-date on your location. Make sure to point your customers to your location with a geographical map or utilize share tools to share a specific calendar event. People can’t try your awesome food if they don’t know where you are. Make it easy for them, drive traffic to your own site and brand, and make your website the place for customers to get your latest whereabouts. Many food truck customers decide what they’re going to eat before they get up to the counter, some of them even browsing your online menu from their phones. Your food truck website needs to have an updated menu, broadcasting your grub, laid out in an easily digestible format. 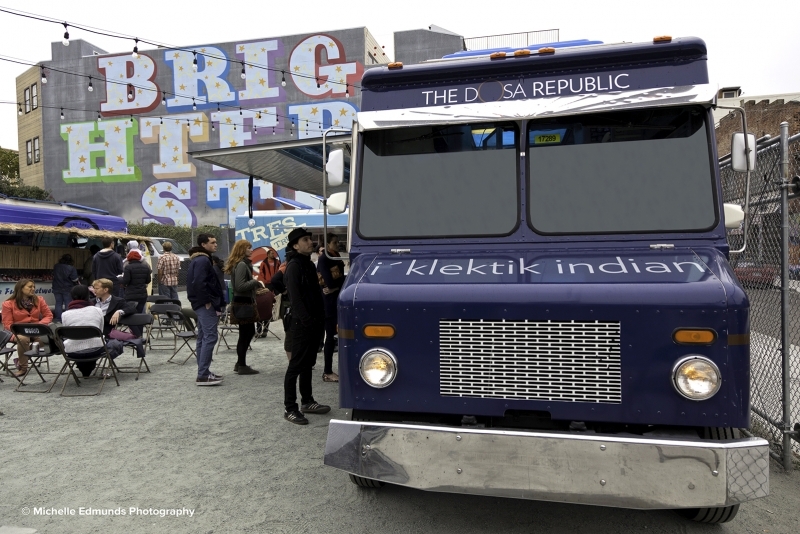 Without a menu on your website, a customer may opt for a food truck that already gave them a dish to dream about. Bonus points: make sure your food truck website design is mobile responsive so that customers can view your professional-looking menu on their phone. That’s how we all surf the web these days, isn’t it? A food truck website will help you build your brand and garner brand recognition over time from your customers. If a potential hungry customer has seen you online, knows what goods you’re serving up , and then happens to catch you on the streets, you’ve just made the sale. Brand recognition moves product, all the big dogs know it. The greater you can build your presence online, the easier you can transition that recognition to the real world and satisfy some appetites. …absolutely everything! People eat with their eyes first. Entice your potential customers with images of your tasty treats, selling your product to the eyes and to the stomach. Sometimes it can be difficult for a customer to envision what exactly they can expect to get out of your food truck. Make it easy for them. Some great food photography can go a long way and your food truck website is the perfect place to display all of your offerings. If it looks irresistible the growling bellies will follow. If you want to control your brand, broadcast your whereabouts, and entice customers with inviting images of your food, creating your own food truck website is an important step in getting your business off the ground and hungry people fed. Luckily, you no longer have to be an expert with technology or blow your whole budget just to launch on the Internet. 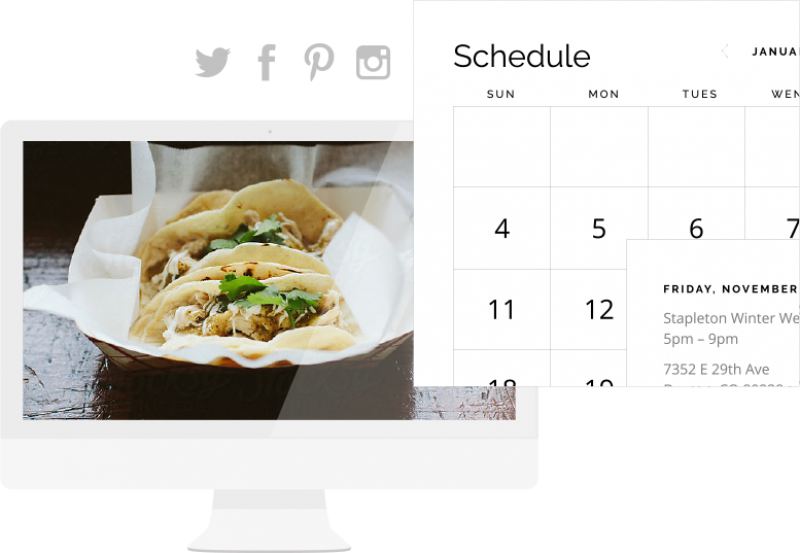 Made For Food Trucks is a perfect all-inclusive solution for your food truck website. Get Started and start building your own food truck website right now!